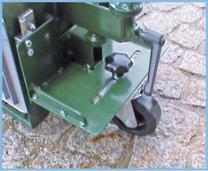 The optimal device for edgings, water stones and small areas. 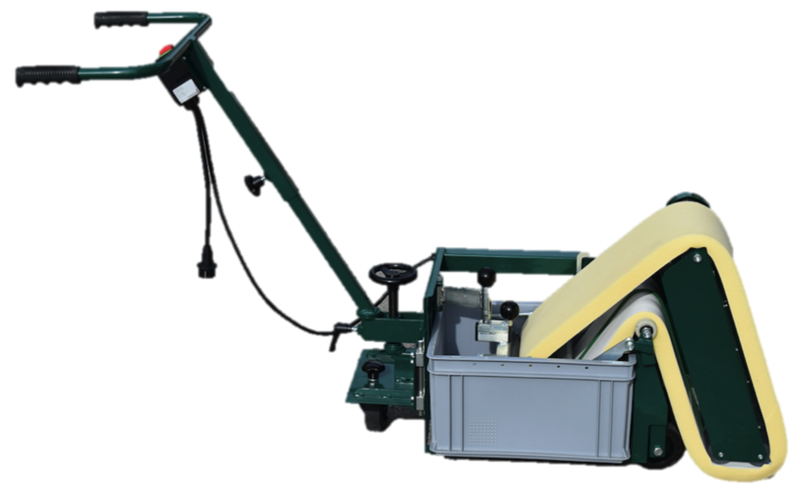 The optimal device for the smooth cement residue-free cleaning of edge sealings, scale and small surfaces. 6 times quicker and cleaner than with your hand! Distribute the sealant over the entire surface, fill in, pull off excess material and next wash off with the Pergo 200 RS. 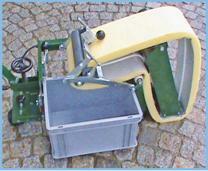 The Pergo 200 RS consists of an engine-driven sponge belt which is pulled through a water container. New foam type for the absorption of sand grains of max. 4mm. 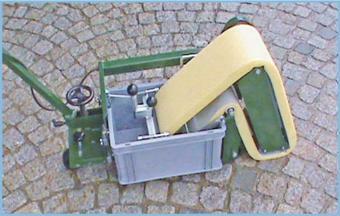 The sponge belt is fed on a conveyor belt with V-belt straps avoiding its expansion and sidewards running, so that a long life cycle is achieved. 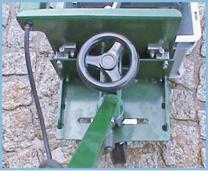 The sponge surface pressure onto the stone surface is stepless adjusted with the handwheel. 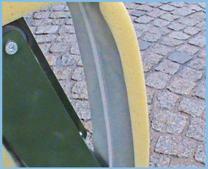 The lateral adjustment of the wheels and handlebar allow a allow an extremely variable application area.